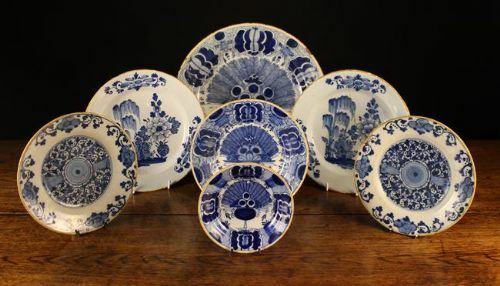 A very attractive small collection of Delft plates; a pair 10.5 inches in diameter, another pair 9 inches and three peacock feather plates, 6.5 inches, 9 inches and 14 inches. 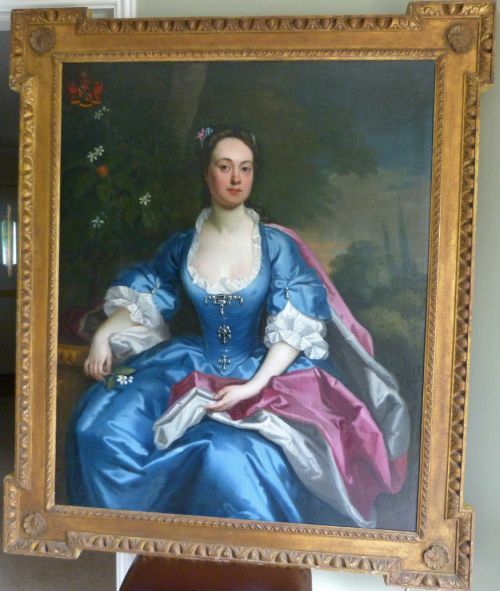 As is nearly always the case with Deltware there are assorted damages, ranging from the usual fritting of rims to a hole drilled in the smallest, two broken/repaired and the largest, almost charger size, seems to have had a part of its rim deliberately 'nibbled' off. 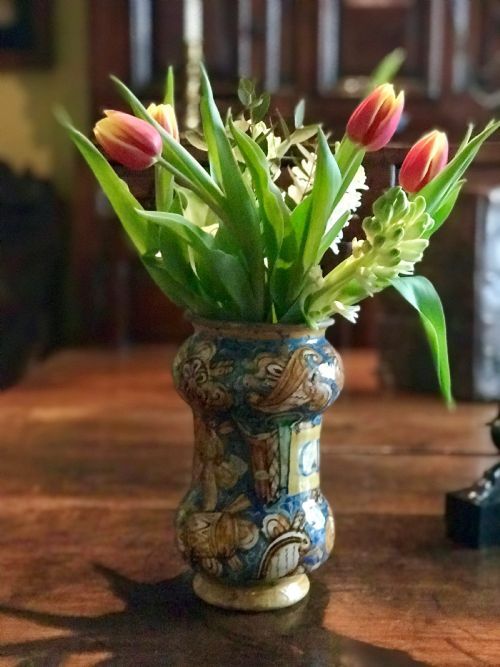 However, despite these faults these are still beautiful hand made items over 300 years old, with all the charm that old Delftware has, and they make a splendid display together. An interesting and unsigned unglazed pottery vase bearing a Classical relief, mid 19th c.
13.5 inches tall, in good condition. These drug jars were subject to hard use, so as usual, there are chips on the rim and foot, also there are small areas where the glaze has been lost.